The world has been waiting since 2011, when Bravely Default was announced for the Nintendo 3DS, for its localized version to come over to the west. Three years later, it finally hit North American shores as one of the first big releases for the 3DS of the year. The question, of course, is, is the game worth the hype that it has steadily generated over the last three years? Is this game, which is being called the vanguard of the old style of JRPG, and being hyped up for its gorgeous visuals, just a pretty (but ultimately unremarkable) face, or is there actually something backing up all that hype? The answer to that is largely yes. 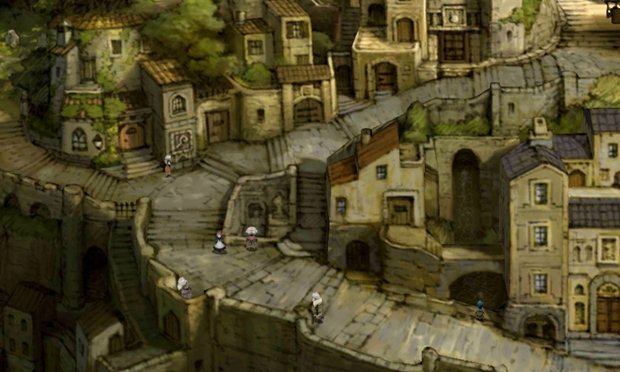 Bravely Default is a rare example of classic, old school game design done right in the modern context. 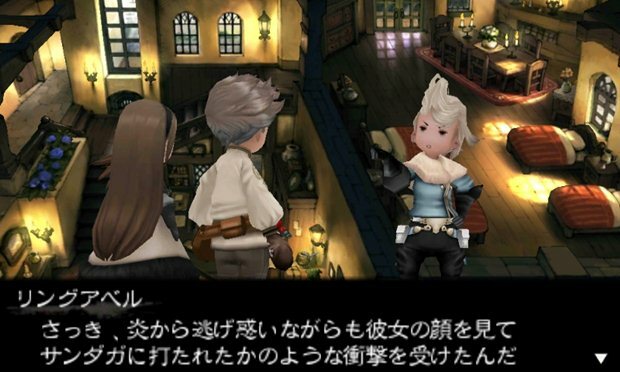 If an SNES or PlayStation era game were made today, Bravely Default is what that game would look like. It looks to the past, to the heyday of its genre, and it pays homage to it, but it also legitimately attempts to move the genre forward with some smart and intelligent game design choices. Almost everything that Bravely Default does, it does incredibly well, and while there are some things that mar the experience, on the whole, they don’t hold the game back from greatness. "Incredibly enough, the game does not just choose to live in the past- it could have easily just been a 'modern classic JRPG,' just bringing the classical turn based gameplay that characterized the Final Fantasy games of old to a modern audience and calling it a day." The visuals do not fall in the latter category- indeed, they are arguably what this game does the best, gorgeous, lush graphics brought to life with a stunning art style that looks like a modern Final Fantasy IX, looking beautiful on the 3DS’s auto stereoscopic screen, and given even more depth, literal and figurative, by the 3D. First impressions, for good or for bad, count for a lot, and Bravely Default, with an artstyle that is quite possibly the best in its genre currently, makes a hell of a first impression. Also what this game does amazingly well is the gameplay, which makes it feel like a belated attempt at bringing a lost JRPG over to the west made at the height of the genre’s creativity and popularity back in the 16/32 bit days. It feels like a nostalgic trip from the past, as you are introduced again to the famed Jobs system that Final Fantasy brought to the table back with Final Fantasy III and Final Fantasy V (both games that themselves never actually made it to the west at the time of their original release); the game’s take on the Jobs system lets the player have full control over how their characters develop, adding the role playing back into the role playing game. Incredibly enough, the game does not just choose to live in the past- it could have easily just been a ‘modern classic JRPG,’ just bringing the classical turn based gameplay that characterized the Final Fantasy games of old to a modern audience and calling it a day. But it doesn’t, and it attempts to bring its own twist to the formula, all of which add greatly to it. These include the new ‘Brave’ and ‘Default’ systems, which involve you not doing anything for a turn, and storing the turn away for future use- if used strategically enough, they can be used to devastating effect, taking the enemy out with one well placed, well planned out round of turns. Bravely Default also embraces the modern, social, connected nature of gaming, in spite of its status as a tribute to an era of gaming now gone- indeed, it takes all the various social features of the Nintendo 3DS, and it puts them to some inimitably great uses. Thus, for example, there is the game’s great, two pronged use of StreetPass- a StreetPass will net you an ally that you can summon any time in battle, but that’s the expected usage of the feature in such a game. No, the other, more innovative use of StreetPass is regarding a town building minigame. Early on in the game, a town is destroyed, and we are put in charge of rebuilding it. This rebuilding comes via StreetPass, using managers and workers you get over StreetPass to gradually rebuild the town (a bit like Assassin’s Creed II, but tied inextricably to StreetPass). Rebuilding the town and the businesses can net you some deadly bonuses you can use in battles. "Bravely Default is channeling classic game design, but there have been a lot of legitimate strides made in game design since then, ignoring which would make this game a legitimate regression. Therefore, Bravely Default's acceptance of that fact, and its willingness to embrace modern game design where necessary, is to be lauded." The game even takes advantage of the SpotPass connectivity, allowing you to co-operatively level up specific classes and jobs with friends, and then sharing them with them, essentially meaning that you and a group of friends can each choose to focus on playing with a couple of classes, and then sharing the rest with each other. None of this is at all necessary to complete the game- you could play the entire story with your wireless connectivity switch on the 3DS set firmly to off, and you wouldn’t even miss these features. But they are all there, and they’re wonderful. They make Bravely Default the rare example of a game that actually takes full advantage of its hardware to such an extent that it wouldn’t be possible on any other system. Bravely Default even, for instance, utilizes the system’s sleep mode, where every eight hours that you put the system in Sleep Mode for allows you one free turn in battle to do what you want to. All of these are smart, intelligent concessions to modern sensibilities. Bravely Default is channeling classic game design, but there have been a lot of legitimate strides made in game design since then, ignoring which would make this game a legitimate regression. Therefore, Bravely Default’s acceptance of that fact, and its willingness to embrace modern game design where necessary, is to be lauded. "On the whole, however, Bravely Default gets things right. It manages to be a classic JRPG for modern audiences, and it pulls it off with amazing aplomb." 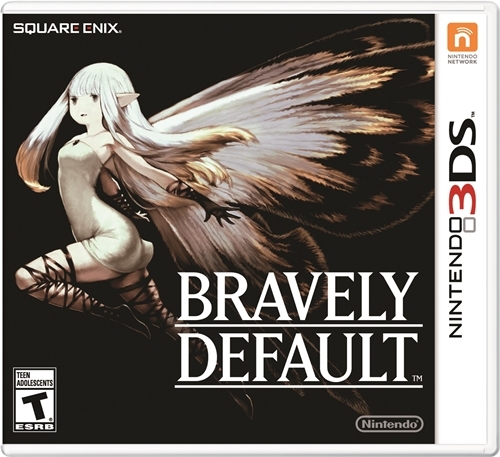 There are other ways Bravely Default tries to tailor its experience to the player- it probably has the most full featured options and settings menu that I remember in a game in recent times, allowing you not just to adjust the usual text speed, sound volume, and so on, but even switch difficulty and yes, encounter rates on the fly. So, for example, if you have spent hours trudging through a dungeon, and are extremely low on health, and don’t want to have to lose all that progress to some random encounter, you can choose to flat out turn random encounters off until you make it out on the other side. If that sounds wrong to your sensibilities, it is not- it’s an extremely smart utilization of classic old school random battles based design in a modern context. Given all of this, and so much more, that the game does right, there are still a few things it does wrong, and they all mostly have to do with its story. The actual narrative is charmingly inoffensive- the elemental crystals are threatened, the world is in danger (see also: Final Fantasy, Final Fantasy II, Final Fantasy III, Final Fantasy IV, Final Fantasy V), and indeed, the game actually features a stronger narrative than most classical JRPGs, which at most provided a loose context and framework to work in. Bravely Default attempts to weave a larger story around its context, and it largely succeeds, except for during the middle third of the game, where the game’s awful pacing issues means that it grinds to a full halt. Indeed, it becomes impossible to actually play the game any further due to how boring it is during that period, and it does affect the overall game experience. On the whole, however, Bravely Default gets things right. It manages to be a classic JRPG for modern audiences, and it pulls it off with amazing aplomb. 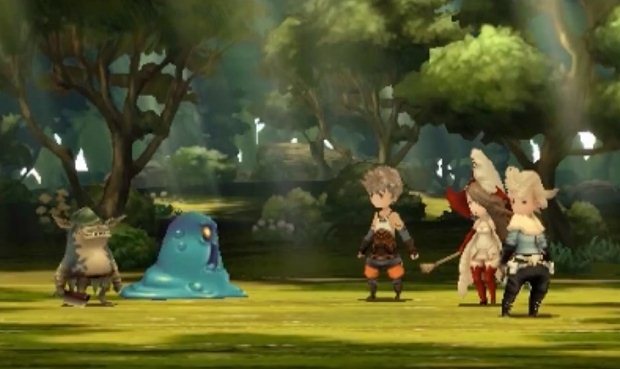 On a system that is absolutely packed with quality games, Bravely Default manages to stand out, and be counted as among the very best. Here’s to the inevitable (already announced) sequel. This game was reviewed on the Nintendo 3DS. Mostly everything- the graphics, sound, the gameplay including the jobs system, the Brave and Default mechanics, the social connectivity features, and the sheer amount of customization that the game offers and allows for, the innovative ways it uses the 3DS hardware. 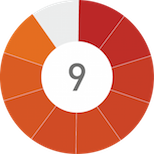 Major pacing issues in the middle third of the game slow it to a grinding halt.